FUTURES TAKE IT ALL! USSSA BIG APPLE WSQ CHAMPIONS! 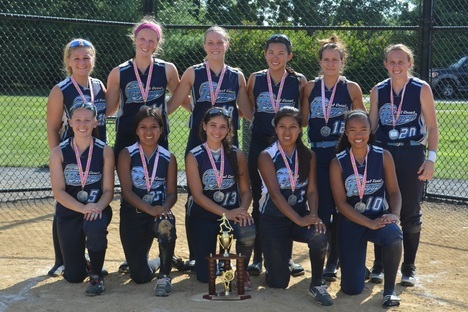 The Tsunami Futures 14U-02 Finally regained its form in winning the USSSA Big Apple Classic this past weekend. Seemed like forever since winning back to back 16 and then 18u events followed by back to back runner up placements earlier this season. Winning is accumulation of all things good and bad and the girls have been tirelessly working towards being their collective best for upcoming Nationals. Couldn't be more proud of the efforts put forth by everyone. Well Done Futures! What to do on a 100 DEGREE NIGHT ? Have a mixed practice and scrimmage with 18 GOLD team with our 14U Futures. One Word- AWESOME! Part of our overall mission with TSUNAMI is to give back as we send our older girls on to play collegiately is to come back and work with teams. Last night was another great example of working side-by-side fully integrated and then playing a scrimmage against each other. Jimmy and I are so proud of all of our teams but clearly evident was open and willingness of our Gold team to want to help our girls prepare for Nationals. The night proved again that if you believe you can, you will. And that is something that we believe in in our teachings. Special Thanks to Gold Coaches. KM/KP/LM for having fun and working hard -TOGETHER! 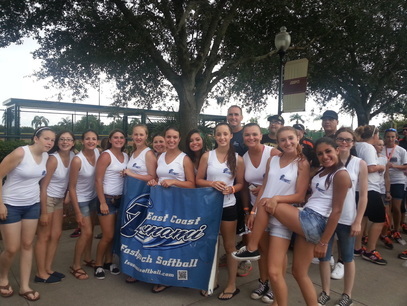 Tsunami 18U Elite team has had back-to-back successful weeks of softball. Father’s Day weekend saw the girls bring their Dad’s a solid runner up finish in the NJUSSSA Father’s Day tournament held in Union, NJ. The team then hit the road and headed out to Mechanicsburg, PA for the PA Softball Firecracker College Showcase. After a slow start the girls did not disappoint as they won 3 straight on the final day of the tournament to capture the 18U Playback Championship. Good Friends, a night in Hershey Park, and another weekend of quality Tsunami Softball! Great Job Girls! 14U-02 FUTURES USSSA TEAM OF THE WEEK! USSSA 18U WSQ Consolation Bracket Champions! 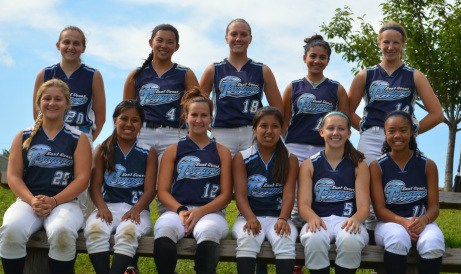 This week would like to feature our team of the week as the Tsunami Futures 14u, from NJ! This year they have notified us that they will only participate in USSSA Fast pitch! We are so excited to hear this and hope we can continue to provide your team great service, satisfaction and good softball! This team works hard and carries themselves at a high standard on and off the field. The coaches make sure to guide the girls in proper field etiquette and sportsmanship, they ...pride themselves in staying positive and providing positive reinforcement. Not only do they carry themselves well they play hard and are dedicated to the game of fast pitch softball not just during games but during practice and off time. They enjoy playing together as a team and it surely reflects on the field! We are very excited to see what this team has in store for the 2016 season! Can't wait to see you back on field soon! Jeff and Alicia, On behalf of East Coast Tsunami Softball I wanted to personally thank you for your continued efforts to make USSSA Fast pitch and outstanding offering for our girls. Our vision is to help prepare our with our College Prep program is to simply prepare them for life and hard challenges that truly await them in the future. Your part of helping this winter and over the years have been to allow our girls to play up 1 or 2 age brackets including my team in January at 16U event where we were fortunate to Win and yesterday playing 18U again where our girls impressed by winning consolation bracket. We feel great about using your venue this year and look forward to the opportunities' that lie ahead for our girls. Thanks again for recognizing the efforts of my hard working, funny, lovable team. The 14U-02 Futures have been hard at work learning how to complete at 18U level this winter playing in HC/Club league at Diamond Nation. Our 7th/8th Grade glass of 2002 Players have proven by combining a winning coaching philosophy and hard work and dedication they can 'learn' how to compete. Our program requires the girls to accept that losing is part of life, and those potentially humbling experiences when competing on softball or in life serve them all very well. It is not about winning, but more that what life prepares you for. Once you accept hat you can embrace whatever comes your way. The girls didn't win a game this winter at 18U but tied 2 very good teams and lost a close game. With that under their belt we played this past weekend and really took the practical experience playing up again and went wire to wire winning their BID to USSSA Nationals in Ocean City Maryland for later this season. Girls battled hard as we only had 9 players they just would not be denied. So proud of them, not for winning, but for believing in our program and letting results speak for their efforts. Kudos you piper cubs...Kudos. Perhaps the best compliments keep coming when people learn we are young and they say....wow that is awesome for them...Go Tsunami...Still Proud..Still the best after all these years. ﻿﻿﻿The 12U Team hit Sterling VA Hard at PONY Nationals this past week and came within inches of making the Elite 8 Round before bowing out in an incredible game vs. Ashburn Shooting Stars in a 4-2 Loss which closed the teams run at a National Championship! Ashburn Shooting Stars have one of the best softball programs in the country preparing their girls for College and was a pleasure playing them and look forward to seeing them again soon! They Finished 5-3 and along the way played some amazing TEAM softball against the best teams around. It was truly amazing to see the determination and effort during the hottest of conditions and still the girls never gave up. The Girls fought right to the last out in our final game and the emotions after the loss were so difficult to imagine as they didn't want the magical run to be over. It was a True Sign of what being a Tsunami Player is all about. 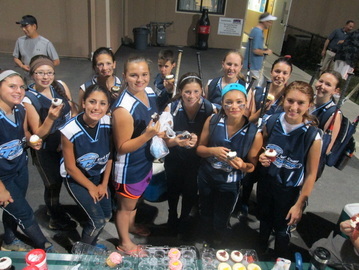 The Elite team went 5 & 2 in their opening tournament on June 13th and 14th. The team was recognized for its strong pitching and hitting throughout the weekend. The girls won five games in a row after their first close 5-4 loss. The girls endured the heat and sun and worked hard to make it to the Championship Game on Sunday afternoon. 2015 Memorial Day Mayhem PONY National Qualifier Champions! 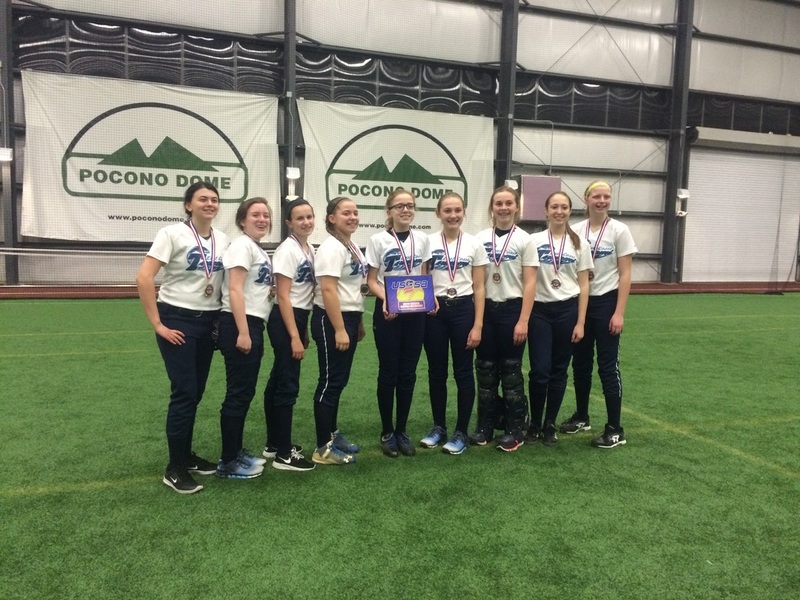 Tsunami 12U went wire to wire seeding #1 and Finishing as Champions this past weekend at Pennsbury NQ. The girls have lost to eventual runner-up or winner in every event and have been moving closer to play to their capabilities and this weekend they finally took that step forward. We couldn't be happier for them as they are a hard working group of dedicated players who are absolution a team on the rise. Tsunami Pride is alive and both umpires and competing teams compliment our team and players and coaches. 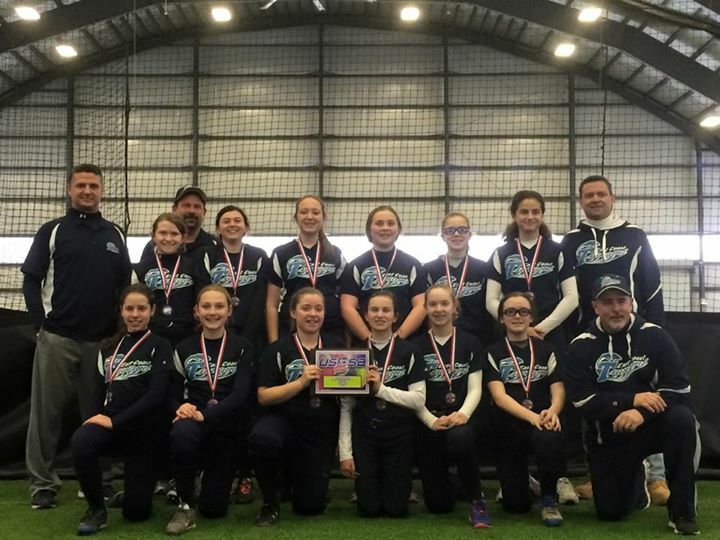 2015 Tsunami 12U Opened up season with win at USSSA Indoor Winter March Madness Event and came away showing what hard work and dedication really means when you play for Tsunami Softball. The Girls have worked out 4 days a week minimum throughout the winter and have been training hard with all of the 18U concepts including working with the 18U Gold team players when time permitted. That combination of unrelenting pursuit to train to win, expect to win, and more importantly remain humble no matter what the results makes us all very proud of what our organization is all about. We couldn't have been more proud of how the hard work transferred to on-field play. 1st Seed Overall. Overall Winner of Event. 54 Runs Scored and 0 Runs allowed with only 2 hits given up in 4 games. Pitching was dominating and hitting backed up our overall goal to be a complete team both on defense and offense. A Consistent trademark of Great Tsunami Teams! Congratulations Girls and Best of Luck This Season! Go Tsunami! Congratulations to 18U Gold ...3rd Place at Delaware Invitational Tournament! The 18U Tsunami Gold Team Traveled to Delaware by invitation to play against 64 of the best Gold teams in the North-East. The Girls played in the best pool bracket for seeding and having that opportunity gave them a chance to see #1 from our bracket. The level of competitor was outstanding and the girls played amazing all weekend even getting praise from the Umpiring Director who was also a Division 1 College Softball Coach. I couldn't have been more proud to receive his praise on behalf of the Tsunami Organization. We pride ourselves on being Team 1st and surround ourselves with great Coaches, Great Families and Great Players who understand what really matters. Congratulations again to your hard work and dedication! CONGRATULATIONS TO 16U...2014 USSSA 16U STATE CHAMPIONS! 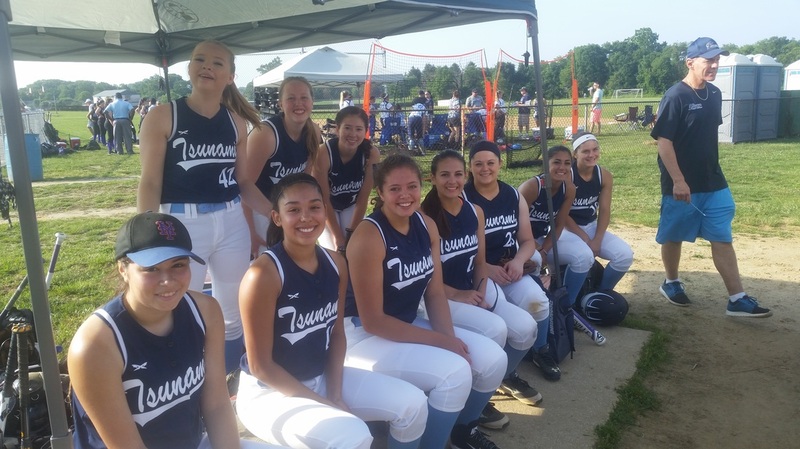 The 16U Tsunami Softball team clinched the title of ﻿USSSA 16U State Champions﻿ this weekend in Medford, going 4 & 0 on Sunday and 6 & 1 overall. The team went 2 & 1 on Saturday to secure a 9th seed. On Sunday, Tsunami beat the 8th seeded team, Jersey Bandits 5-3 in the first game. They went on to knock off the #1 seed, NJ Mystics with a score of 6-3 in game two. In the semi-finals, Tsunami beat the #5 seed, NJ Xtreme 6-3. In the Championship game, Tsunami finished strong, beating the #4 seed, Jersey Nightmare 7-2. CONGRATULATIONS TO 16U...2014 JUNE HUSTLE TOURNAMENT CHAMPIONS! East Coast Tsunami Gold Blue Chip East Coast Fall Finale! 2nd Place Gold Bracket! East Coast Tsunami Gold Battled All Weekend going 2-1 on Saturday! Earning the 12th Seed in Top 12 Gold Bracket! 1st and 12th Position was the difference in losing a hard fought battle in our final seeding game 2-0! Before losing to 2nd Seed Sparks in a close battle 4-2. Our Work in Building our Future has only just begun! 16U wins their opening tournament at the 16U Finch's Aces' Fall Invitational! Congratulations to the 16U on an amazing weekend! The 16U East Coast Tsunami swept all five games on Sunday for an unbelievable Championship Victory in the 16U Finch's Aces Invitational this past weekend. Despite multiple injuries, rain, and a 14th seed on Saturday, the girls played amazing in five consecutive games on Sunday. Their hot bats, almost flawless defense, and smart base running contributed to the victory. Their sense of team and will to win trumped the top seeded teams all day. Every single player contributed to the win...and after 11 hours of softball, the girls finished as the true champions they are! Thanks to the parents, siblings, families and friends for their overwhelming support this weekend. Way to go Tsu.....nami! The Showcase Teams ends their winning Summer Season by going undefeated at the New England's Finest Showcase in Plainville, MA. Great Ending to a Great Season! Tsunami Blue at Opening Ceremonies at Disney's ESPN Wide World of Sports Complex in Orlando. 14U Blue is on the "Road to Orlando"
The 14U Blue Team will be competing in the USSSA Road to Orlando World Series hosted at ESPN Wide World of Sports Complex, the week of July 20th. Many of the players will be competing for the second year in a row with this Tsunami Team, however this year, the 'rookies' will play a critical role to ensure the success of the team in the National Tournament. East Coast Tsunami Showcase finishes in second place (black bracket) at the Pegasus Showcase Tournament in Collegeville, PA. The team finished the tournament with an overall record of 8-1. 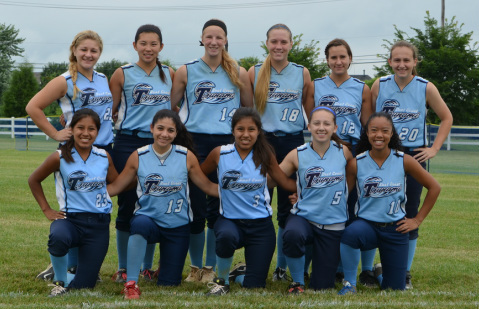 The 18U Tsunami Gold team finished 5-1 last weekend July 4-7th at the TNT Showcase in Quakertown, Pennsylvania. The 14U Blue team will play in the State Championship in Medford, NJ July 13-14th prior to attending the USSSA National Qualifier in Orlando. Way to Kick Off the Summer Season! East Coast Tsunami Showcase kicks off their summer season with a bang- out scoring their opponents 24 to 8 in their first summer showcase. 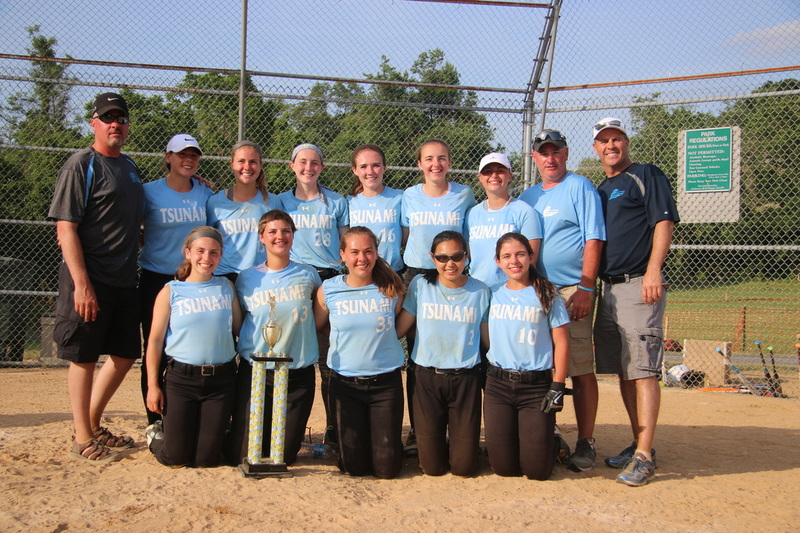 The Tsunami Blue 14U team placed First for the second time this spring season. Medford promised good competition, but the girls responded, despite injuries and illness on Sunday. Tsunami Blue will continue a tough schedule, with eight of their remaining nine tournaments being World Series Qualifiers. 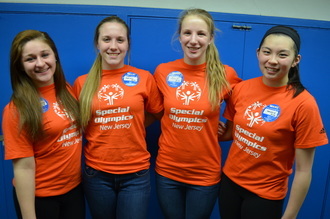 Showcase Team members volunteering with the NJ Special Olympics during the off season. Players enjoyed the chance to support other athletes and cheer them on! The 12U Tsunami team rolled into Brooklyn the weekend of 10/6-7 to claim their first World Series bid of the 2013 season. Competing against the host team in the championship game, Tsunami walked away with the hardware in a 7-5 win. Coach Tom Keaveney was quoted, " Our team played strong this weekend. I'm looking forward to the rest of the season." With their first tournament win under their belt, the 12U team will compete in at least 4 more world series qualifiers through the beginning of November. The 12U team was undefeated the weekend of 10/13-14 with a record of 5-0 in the Lady Lancer Invitational Tournament. Backed up by a triad of hitting, pitching and defense, the 12U Tsunami completed the weekend with an aggregate total scoring 59 runs but only giving up 9. The 12U team continues its season with a world series qualifier on the slate. Danielle Laube, Varsity Starting Catcher for New Milford High School, New Milford NJ was named Athlete of the Week by the Record. She was recognized her ability both offensively and defensively.